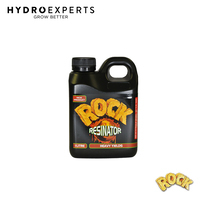 This item is discontinued by the manufacturer. 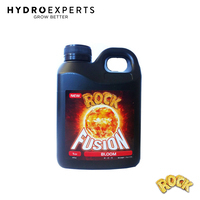 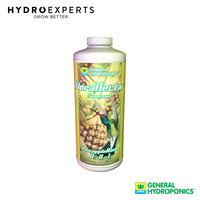 A 100% organic nutrient developed for cultivation in soil and used during the blooming phase of fast growing plants. 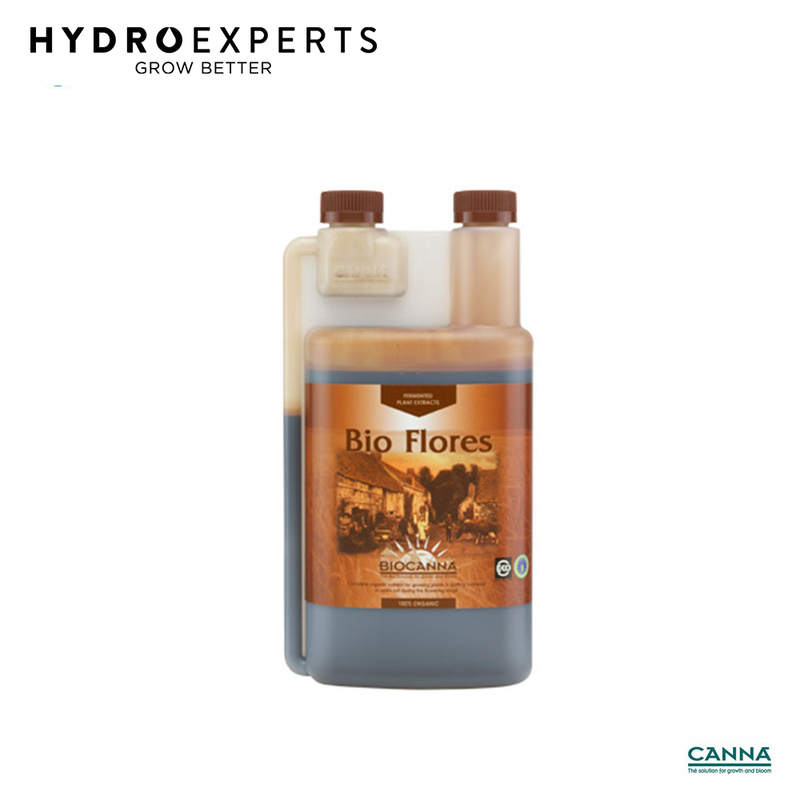 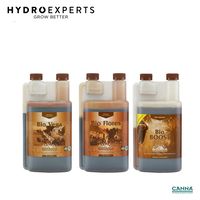 BIOCANNA BioFlores contains hop extracts (Humulus lupulus) for extra flowering strength and is ideal for use indoors with container grown plants or outside in the open garden. 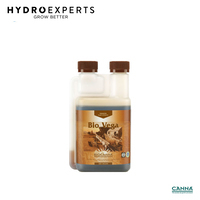 BIOCANNA nutrients do NOT contain animal products and are produced organically by a special plant fermentation process. 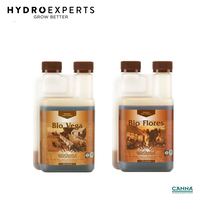 They are rich in available plant nutrition and stimulate the plant s metabolism and resistance. In addition, they promote the microflora around the roots, which helps the plant absorb the necessary nutrients and also protects the plant s root environment. 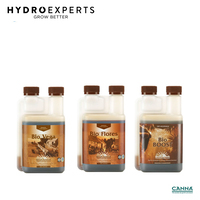 Note: CANNA research has shown that products grown with BIOCANNA have a higher percentage of certain essential oils, which influence the flavor and scent of your harvest. Due to the presence of pH buffering fruit acids in Bio Flores, the nutrient solution does NOT need to be adjusted for pH. 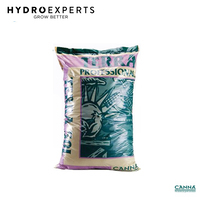 Step 1: Shake well before use. Step 2: Mix 40 ml per 10 Liter or 15 ml per US gallon (1:250) and apply 1-3 times per week depending on the container and plant size. 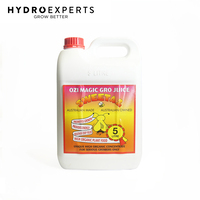 Step 3: Feed the diluted solution within 24 hours after mixing. 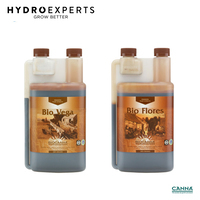 Step 4: Preferred feeding is by hand and over the top of the medium. 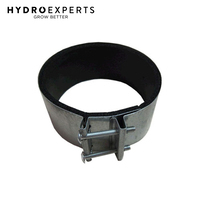 If drip irrigation is used, always flush the lines after each application to avoid clogging. 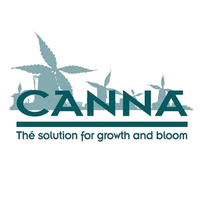 CANNA only works with high-graded nutrients and chelates, which are immediately and completely available for the plant. The bottle is made of polyethylene (PVC and cadmium free), an easily biodegradable and recyclable plastic. 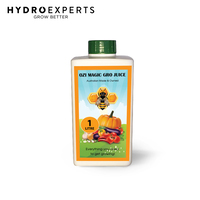 General Hydroponics Flora Nectar Pineapple Rush - 946ML / 3.